Fan speed can be controlled but all the tools we ended up using read the RPM in percentages only. 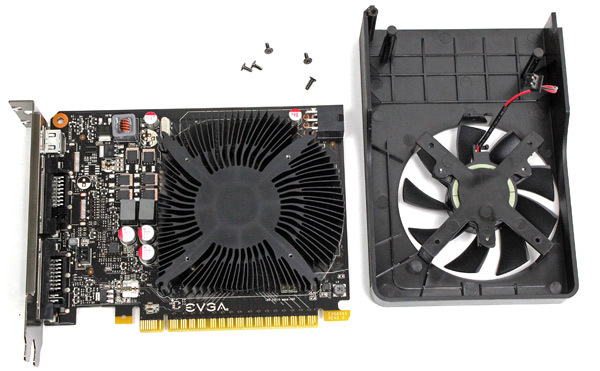 The fan didn’t exceed 23 percent RPM during gaming. Once we pushed it to 40 percent, we could hear it well and 100% ended up being very loud. Note however that there will be no need to mess with fan speed, because AUTO mode runs just fine and delivers a good cooling-to-noise ratio. 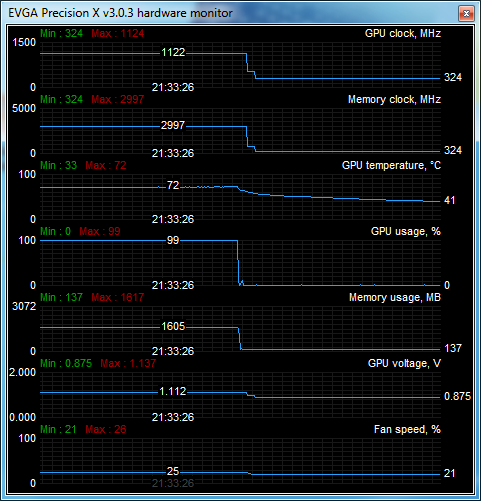 GPU went up to 66°C, which is solid enough and the card is inaudible quiet when idle. The only thing that bothered us a bit was the operating noise from somewhere inside the PCB – it wasn’t too loud but we could faintly hear it from inside the case. 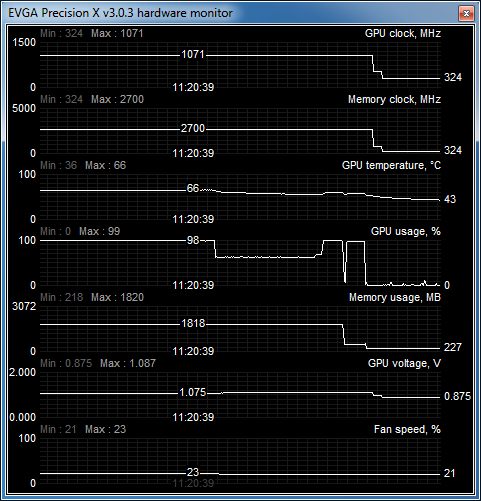 As you can see from the graph below, overclocking didn't result in more noise. The fan remained quiet but the GPU temperature did climb to 72°C.